A photograph means a lot to a large number of people. As a matter, it is one of the best ways to identify self and capture memories that can live for so long. In this era of digital photography, this is made even more conspicuous with an even greater need to enhance these photo for an even better appeal. One of the ways to make this happen is through the use of photo frame software, and we will review some of the best. Free Photo Frame is a software that offers an alternative to the traditional frames available in the majority of the offices and homes. This software is absolutely free and comes with plenty of frames to choose from. A frame can be used with a single photo or several of them. 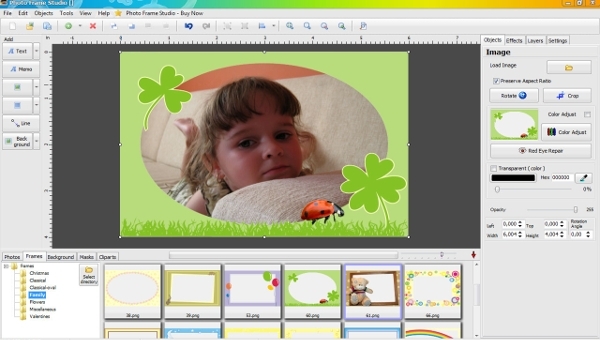 Photo Frame Maker is a software that takes framing of photos to a whole new level. With this software, you will be able to batch add frame to your photos, batch add text to your photos. You can choose the position, size, style, and color, support print or email your photos to friends, support five kinds of formats, include BMP, JPEG, TIFF, PNG, and GIF. Photo Frame Show is a software that enables users to embed images to premade frames and thus add beauty to the photos or convey a message. With the software, you can be able to make personalized e-cards or simply make your photos unique. 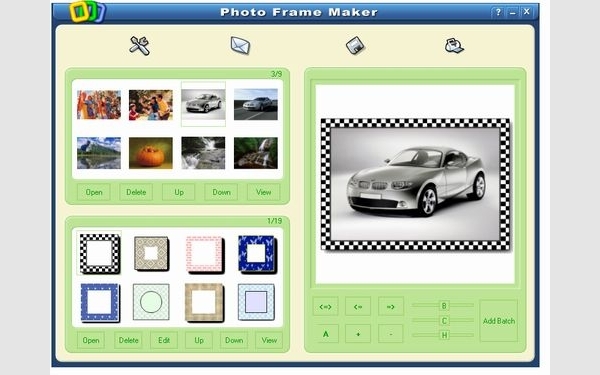 The majority of the software’s in this category of photo frame software happens to be a standalone application, and this implies that they are dependent on platforms. In this case, it calls for a consideration of the platform that the user rides on so as to identify the best. 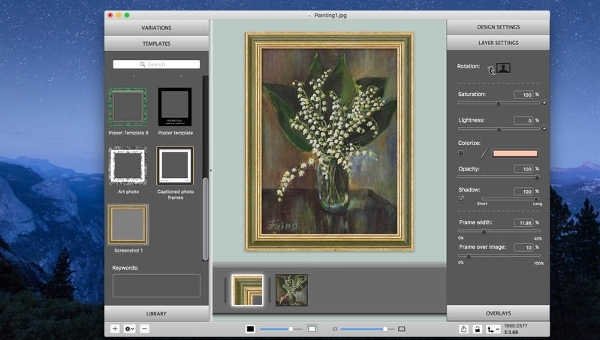 ImageFramer is a photo frame software for the Mac users. This software adds an exceptional touch to your photos, and all this is absolutely free. The tool can be used by professional photographers, artists, bloggers and web designers as well as any other users who are seeking to enhance their photos. Romantic Photo Frames presents an interesting way to explore your romantic self and a way to express love to your partner through photo frames. The software is exclusive for the use of the romantic photo which can be used for friends and family alike. The software is available for free. Photo Collage Art is an android app that allows the user to embed photo frames on their images and thus enhance their appearance. The app is lightweight and thus runs with great ease and offers more than just photo framing. The frames that come with the app are many and offer an artistic impression. Photo Frame Studio is a leading photo frame software that has a great following. The software is loaded with 200+ frames from which users can choose from, and it is Windows 8 compatible. 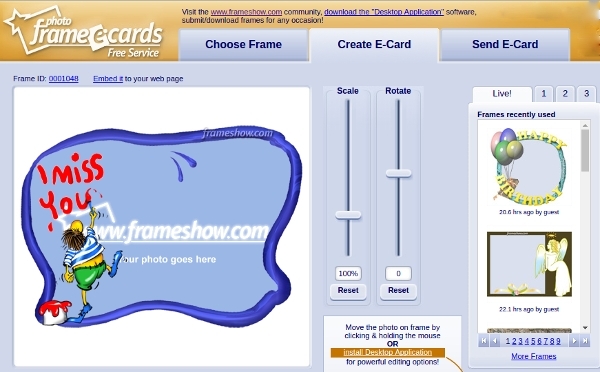 With this tool, other than the preset frames, you have the option of creating custom frames. What is a Photo Frame Software? Being in a position to perform the enhancement of photos professionally can be highly rewarding as the demand for your work will always be high. At the same time, being able to do it for personal use can be entertaining and greatly fulfilling and a great pass of time.